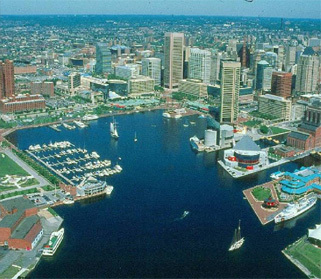 Baltimore’s Commission for Historical and Architectural Preservation (CHAP) reviews proposed construction projects within the city’s thirty-three local historic districts. 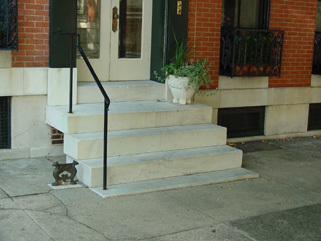 To assist property owners and designers in understanding the review process and in designing projects that preserve the character and integrity of historic buildings and landscapes, CHAP undertook the preparation of the Baltimore City Historic Preservation Procedures and Design Guidelines, which were made publicly available online. The Baltimore design guidelines outline the process undertaken for CHAP review, including submission requirements and the role of local advocacy groups within each historic district. In formulating these procedures, city legislation, current practices, and comparable procedures used in other cities across the country were consulted. The design guidelines portion of the document outlines concepts and best practices for identifying and retaining the historical integrity of character-defining elements of buildings and landscapes within historic districts.